Here we are: the French have made it to the final, and things are now heating up truely... You have on your head your most colourful wig, you are starting to recognise the French players on the pitch and you have bought dozens of frozen pizzas. But have you revised your football idioms? This might sound out of place, but a good supporter should be able to make comments about the game with the right type of jargon! French football players are very skilled at using colourful idioms… or at inventing some new ones. The French will always remember Franck Ribéry’s famous "la routourne va tourner", his own adaption of "la roue tourne", which means that things are changing (litteraly "the wheel is turning"). But the French supporters do not lack a sense of imagination when it comes to commenting on the games, cheering on the players or insulting opponents. Let’s take a quick look at the most appropriate French idioms for you to use during Euro 2016. "The ball is a real soap"
First of all there are the live comments coming from the French supporters. Really excited by their favourites' achievements on the ground, they might go 'crazy' when something big happens and event start thinking they are the new John Motson. You may hear them scream: "BUUUT !! Ce but est une vraie savonnette. Il faut dire que Payet mouille son maillot". However, you are officially allowed to throw them out of the pub if they translate litterally by: "GOOOAL!! 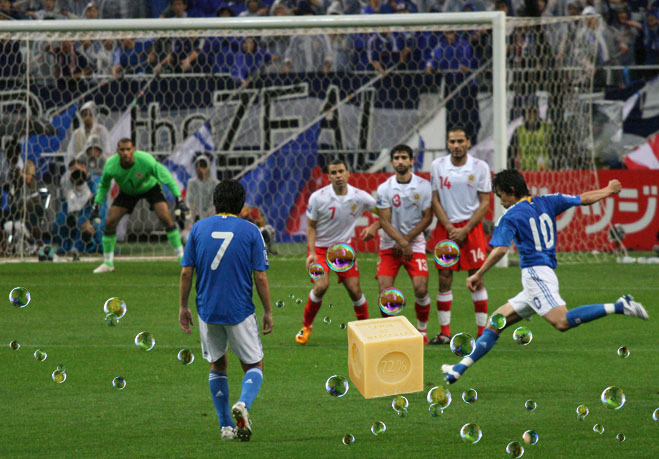 This goal is a real bath soap. We can’t deny that Payet is wetting his jersey". Real Brits would rather say: "GOOOAL!! The ball slipped through the keeper's hands. Payet’s proving to be a real nightmare for this guy". "Matuidi plays like a goat"
When tension rises, people who might have had a few beers too many might get hot under the collar and insults start gushing out. You might hear supporters shout, with their mouth full of crisps: "Matuidi joue vraiment comme une chèvre ! Mais il a deux pieds gauches ou quoi ? J’espère que Deschamps va lui passer un savon". 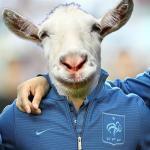 But remove swiftly the pint from your friend's hand if he says: "Matuidi really plays like a goat! He has two left feet or what? (an expression which would be quite ironic to use, given that Matuidi is a left-handed player). I hope that Deschamps is going to pass him a soap". The correct way of saying this would be: "Matuidi is completely useless – two left feet! Deschamps needs to give him a real earful". "I could have Griezmann for my four o’clock"
Last but not least, some female supporters seem to find the players' physique as attractive as their agility on the field. 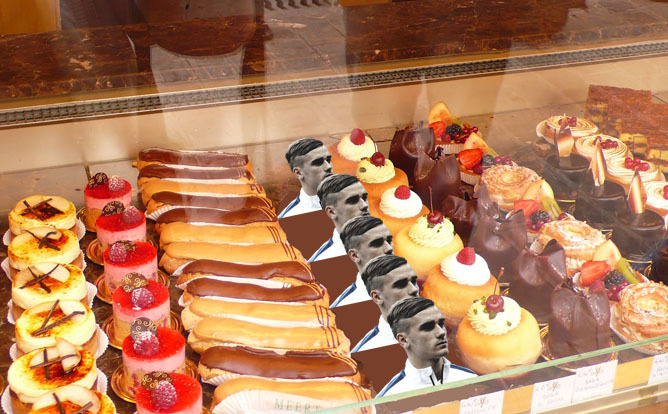 You might hear them whisper: "Moi je peux te dire que Griezmann il ne dort pas dans la baignoire… Il est super bien gaulé ! Dommage qu’il soit casé, j’en ferais bien mon quatre heures". Ladies, please don't get too excited and say: "I can tell you that Griezmann does not sleep in the bath… He is very well beat! It’s a shame that he is placed, I could have him for my four o’clock". But rather : "Griezmann’s really fit! Pity he is already spoken for, I could have him for breakfast every morning"… Moral of the story: the French like to bite into an apple as an afternoon snack, wheareas the Brits prefer to have it for breakfast! You can now comment the games, whatever happens. All you have to do now is get the beer out of the fridge, and get ready for the kick-off!